The modern combination of a product catalogue, vehicle visualiser and lifestyle magazine. In 2010, BMW Individual was already a pioneer in digital product communication with the BMW Individual App 1.0 developed by us. After more than 6 years of operation, the successor app should not only build on the outstanding success of its predecessor but it should again set benchmarks in the areas of design, usability and digital communication. 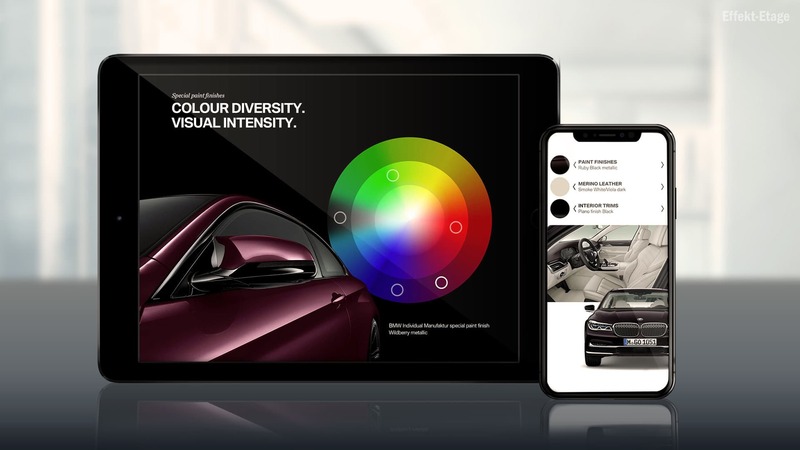 Developed for iOS and Android, the BMW Individual App 3.0 combines three premium experiences in one application: a virtual, highly interactive and explorative product catalogue, a vehicle visualiser for all models and ranges, as well as a lifestyle magazine for tablets and smartphones. Customers can experience the diversity of the Individual collection and the almost limitless possibilities of BMW Individual manufacture digitally. The high-quality design of the app in conjunction with the interactive product experiences reflects the premium character of the BMW Individual vehicles. A seamless user journey into the digital cosmos of BMW Individual is achieved by another technological highlight. Seamlessly integrated, users can experience a BMW 7 Series Individual configured in the app in its original size with just one click. All configuration parameters are automatically transferred to the multiple award-winning BMW Individual Augmented Reality App from Effekt-Etage. The BMW Individual App was rolled out in 6 European languages as well as Mandarin and Russian and is available worldwide. 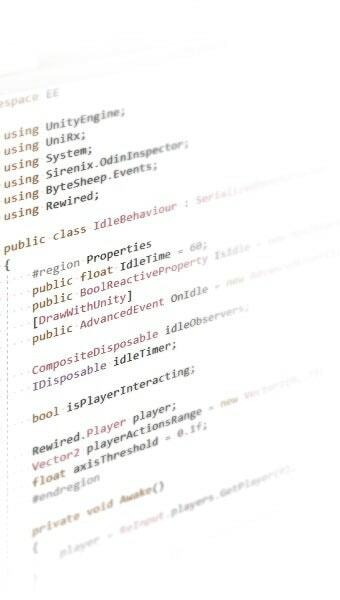 It received overwhelming feedback from users and dealers alike. 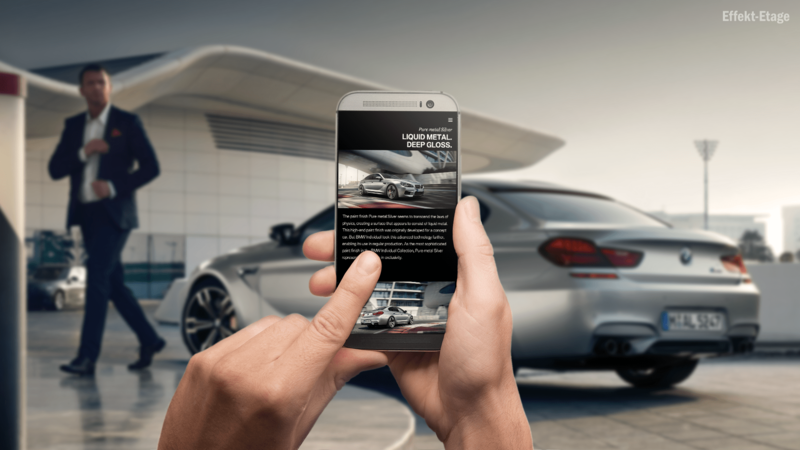 Through the seamless connection with the BMW Individual Augmented Reality App it is an important part of a modern customer journey. But the success can also be measured in figures. 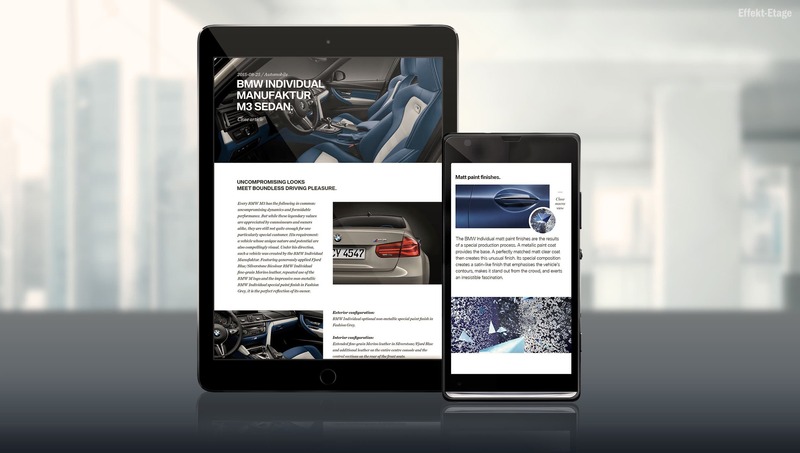 High initial downloads and long – especially recurring – retention times: BMW Individual again sets benchmarks in digital product communication. We like to listen. As we learn, so we can assist you. Commence the conversation with us, together we will take the next steps.